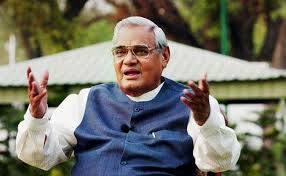 Shri Atal Bihari Vajpayee, who passed away recently, aged 93, is seen by the telecom industry as one of the most important figures in the evolution of modern telephony in the country, because of his deep understanding of the transformation power of telecommunications to drive economic developments and citizen’s empowerment. His historic and brave decision to allow for “revenue sharing” from mobile operators, broke the logjam of a precipitous decline of a burgeoning industry that had enormous promise but that had run into severe financial distress. The impact of this visionary and far-reaching decision can be felt even today when the country is celebrated for the achievements of the telecommunications sector. The Telecom Industry Mourns With the Nation Over the Sad Demise of Former PM Shri Atal Bihari Vajpayee 0 out of 5 based on 0 ratings. 0 user reviews.